Tokidoki Come Closer Tee looks like it's only got one graphic at first, right? No way, it gets crazier. The mega hot lady on the front has a collage going on, so you can see tons of Tokidoki characters just hanging out together. This tee has a deep v-neck and short sleeves. 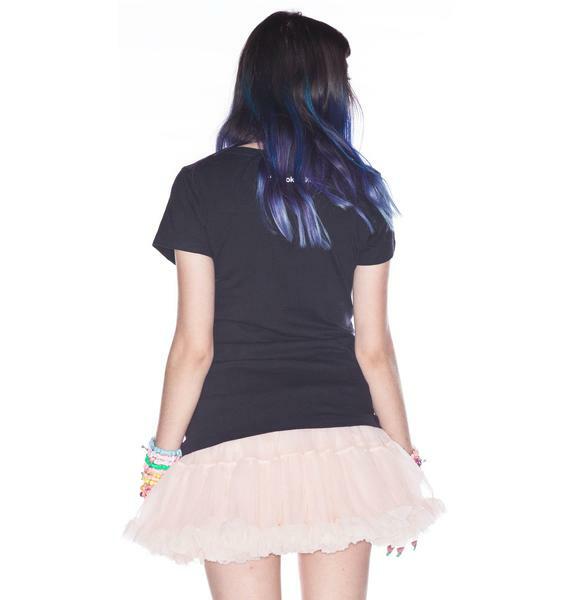 Plus, the back has the little Tokidoki logo and symbol. Throw this on with a black slitted maxi skirt and super tall platform booties and get realll close.